Cece SaundersPresident and Principal Investigator | Historical Perspectives, Inc.
Ms. Saunders meets the professional qualifications of the National Park Service’s 36CFR 61 and is certified by the Register of Professional Archaeologists (RPA). Working in urban, rural, and waterfront sites, Ms. Saunders has directed a full range of projects that encompass archival research, archaeological evaluations and field investigations, structural assessments, visual impact analysis and master plan development. The development of cost effective and engaging methods to “celebrate” history and the archaeological process had been a recent major focus, particularly since state and federal review agencies require an educational component in mitigation agreements. 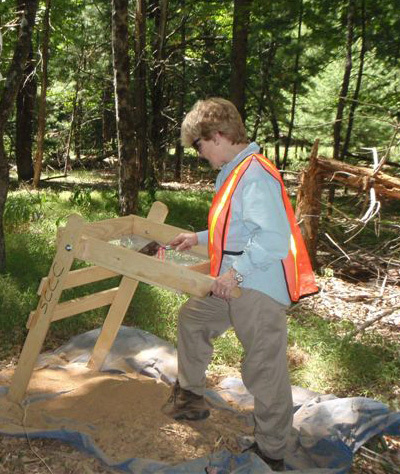 In addition to her full commitment to HPI’s clients, Ms. Saunders serves as a governor appointed member of the State Historic Preservation Review Board and is the Connecticut Editor for the Council for Northeast Historical Archaeology Newsletter.